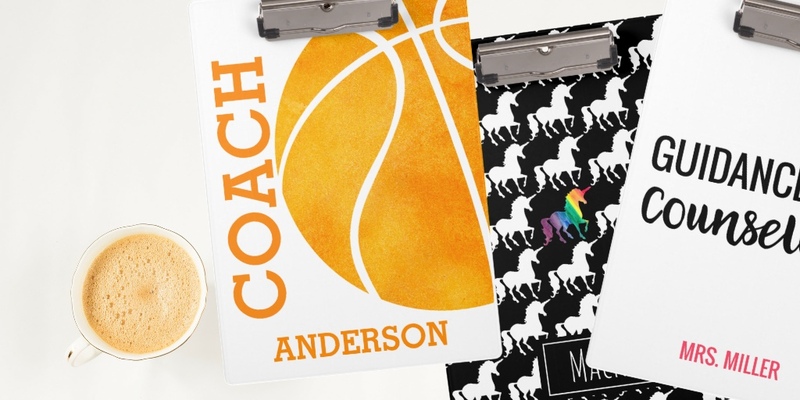 Stay organized, and stunningly stylish, with custom clipboards from Zazzle! Great gift ideas for teachers, coaches and bosses. Coordinate with 3-ring binders for a great gift for home office or school. Showing 1 - 83 of 83 products.